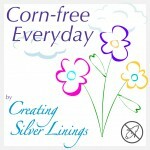 ← Creole Sauce – My Wacky Reflux Reliever! There are many things I do in bulk to make home cooking easier for myself. In my last post you saw that I break out individual servings into canning jars for easy meals. I also do cooking chores in bulk that I dislike doing every time I need them. 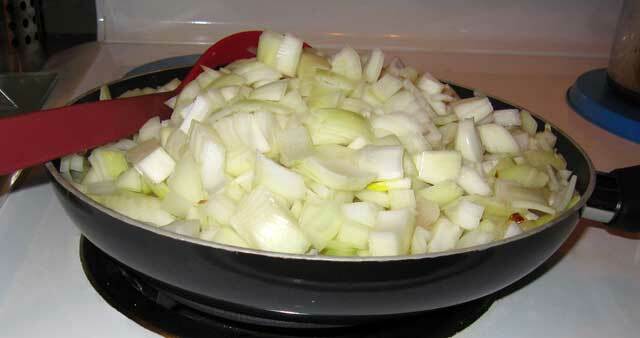 Sautéing onions is one of those chores. How does each éntree recipe begin? Heat a pan. 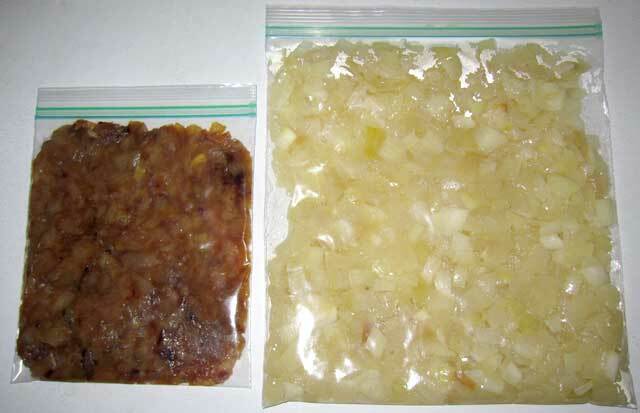 Chop some amount of onion and sauté until translucent. I hate chopping onions and I don’t want to do it every time I start a recipe. So I do a big batch of onions all at once and then I don’t need onions for a couple of weeks to a month! When I say a big batch, I mean a BIG batch! The pan in the picture above has about 5 lbs. of onions in it. You know while I’m doing a big batch of onions, I might as well caramelize some of them. After the onions become translucent, I take out half and cool them in a bowl. The rest I let caramelize low and slow. Yum! After the onions cool down, I place them in freezer bags and push all the air out, then pop them in the freezer until I need some onions for a recipe. Do not put hot food into plastic bags. Chemicals could leech out into the food. I break off a chunk of frozen onion and place it in the cold pan before heating. By the time the pan is hot, the onions are fully warmed through and I can continue the recipe without missing a beat! Save all the onion trimmings for making stock. This entry was posted in Tips and tagged bulk cooking, caramelized onions, onion. Bookmark the permalink.